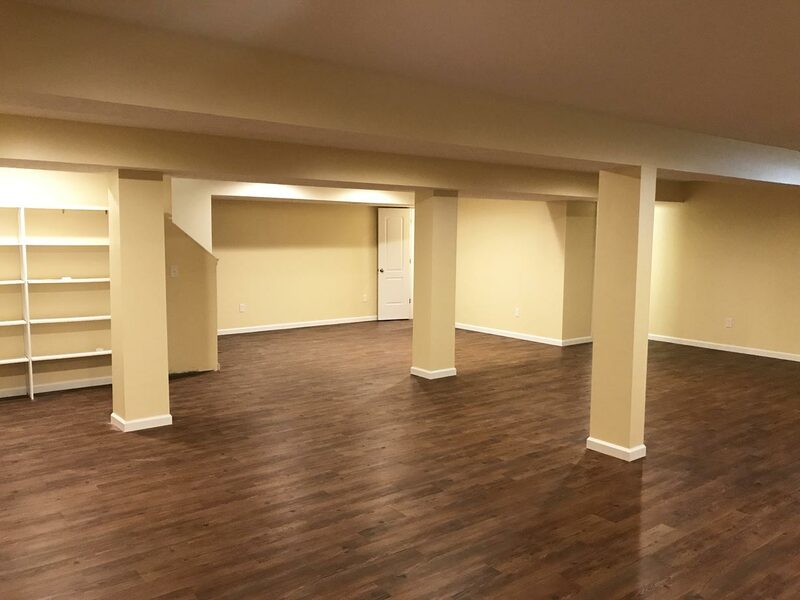 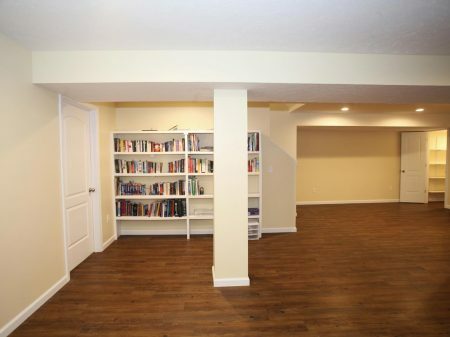 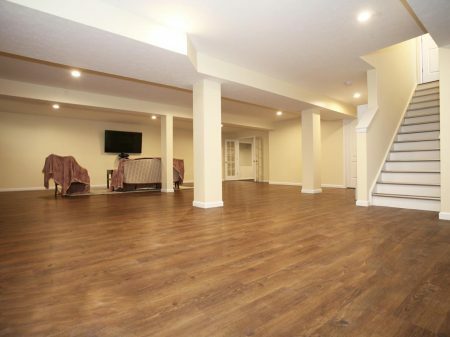 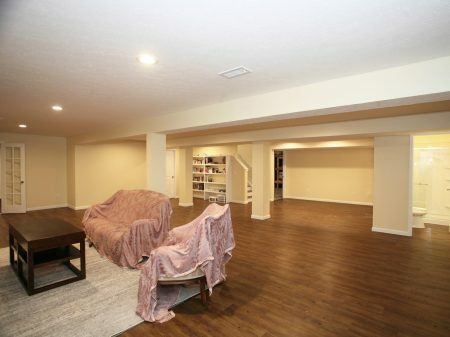 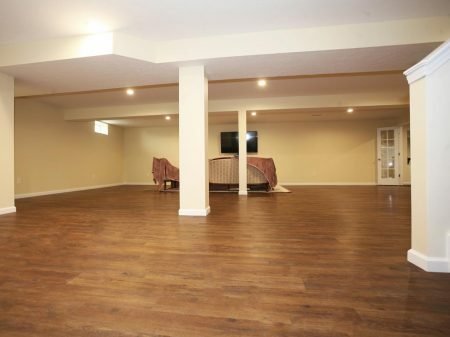 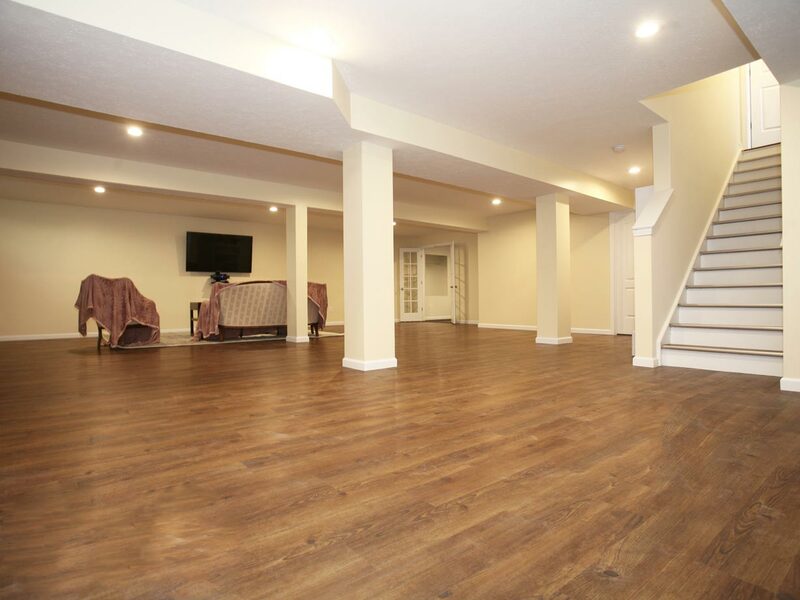 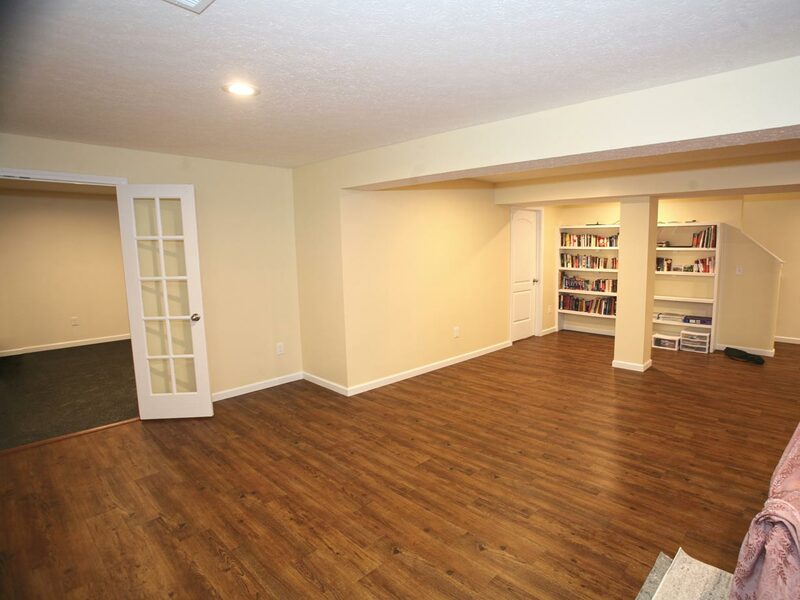 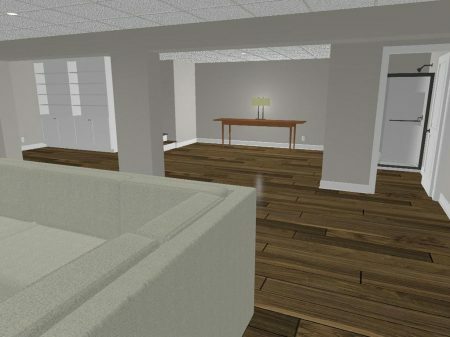 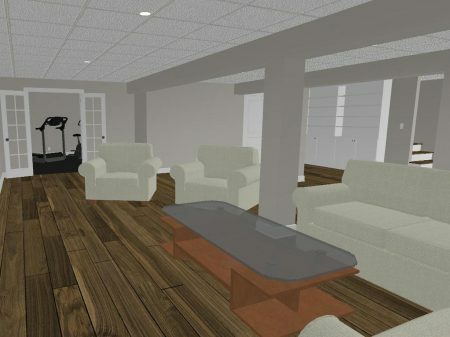 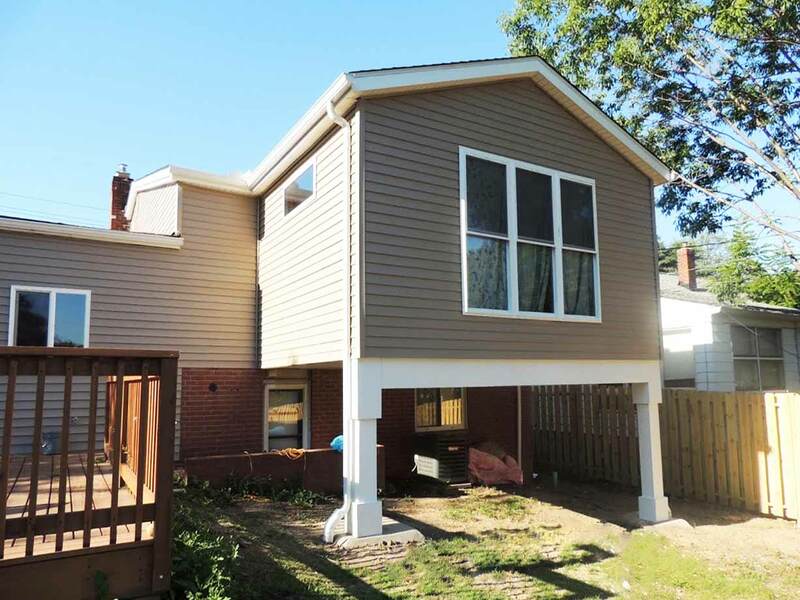 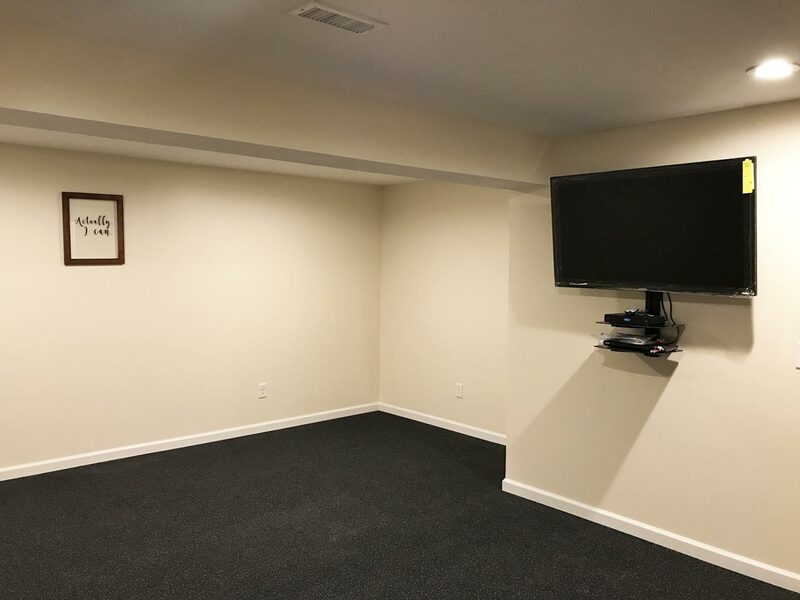 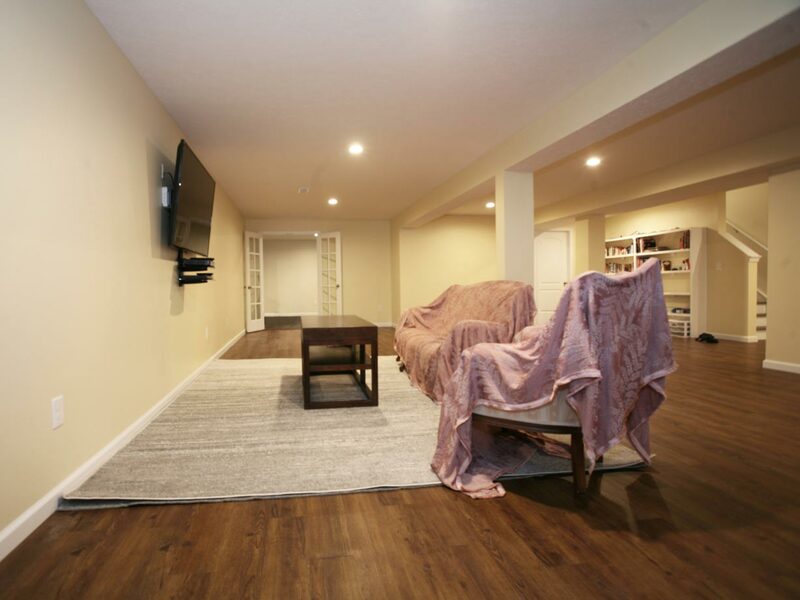 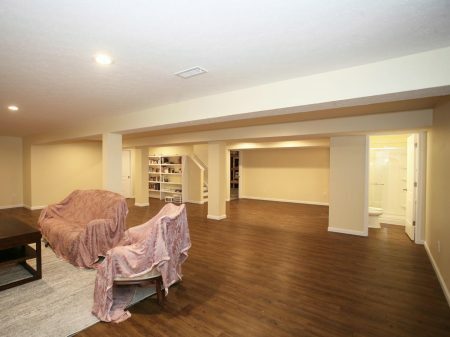 Newly completed custom finished-basement design-build project located in Highland Heights, Ohio. 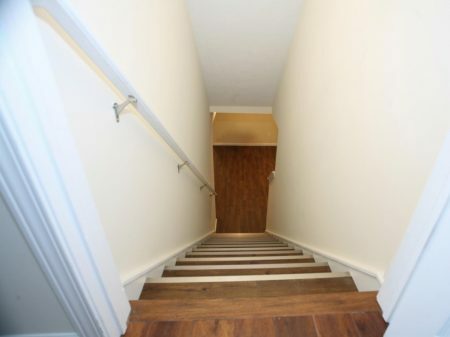 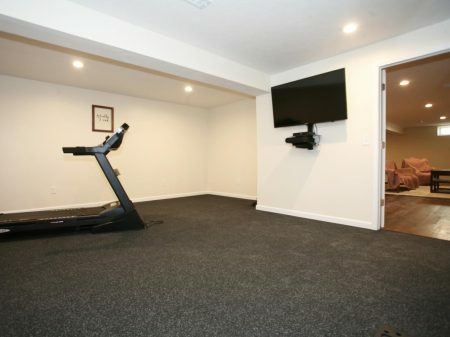 The entire basement was completely unfinished when we started construction and now features a new rec. 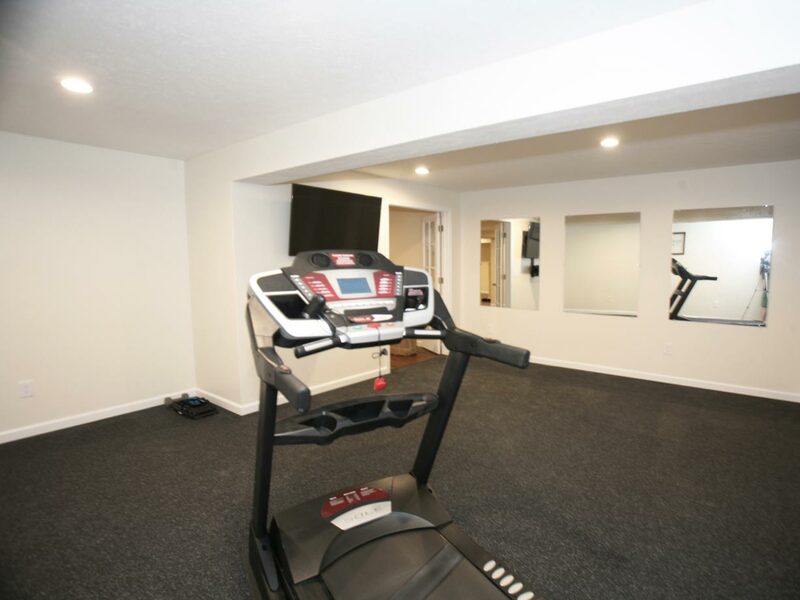 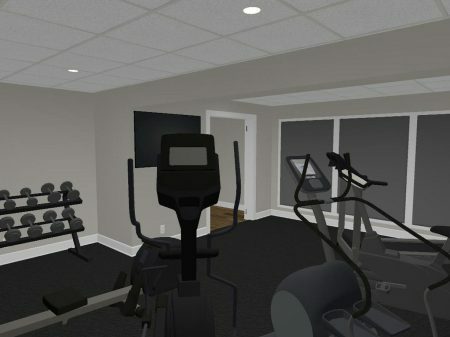 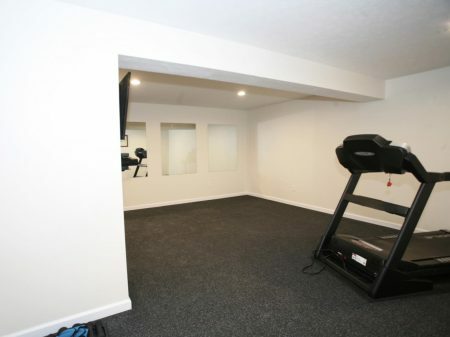 room, new in-home gym and a new custom full bathroom. The new rec. 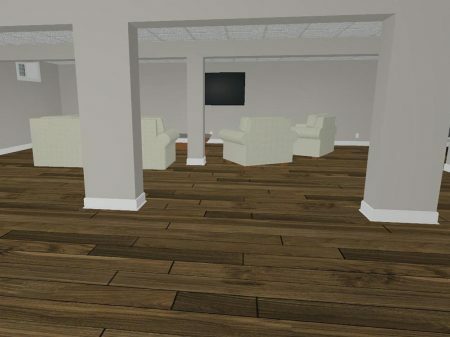 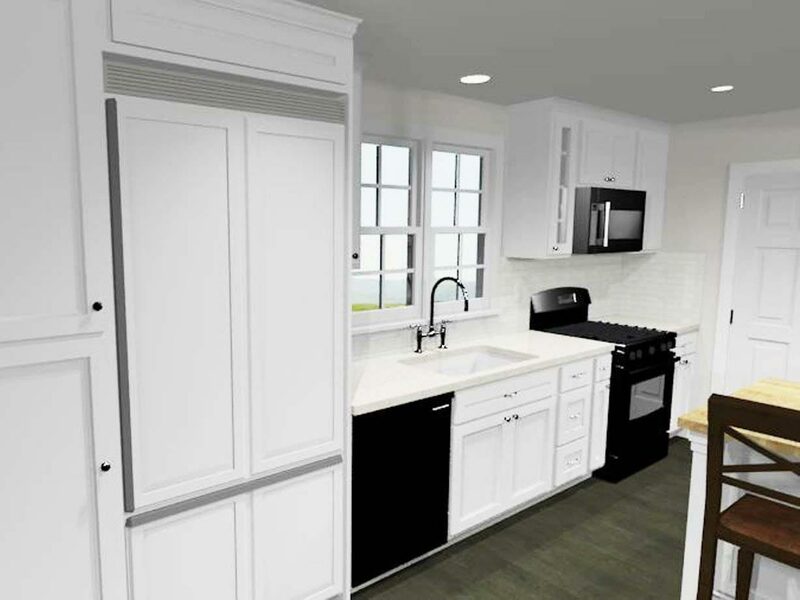 room features recessed lighting, custom built-in book shelves and gorgeous LVT (luxury vinyl tile) flooring. The new home gym has custom made rubber flooring, 3 mirrors, and recessed lighting. 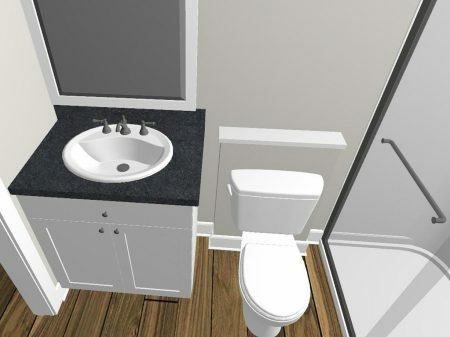 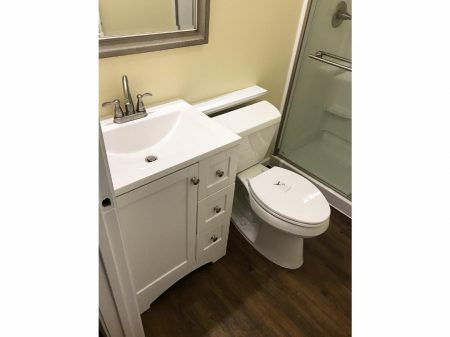 Finally, the new custom full bathroom is a “must see” with the same gorgeous LVT (luxury vinyl tile) flooring as the rec. 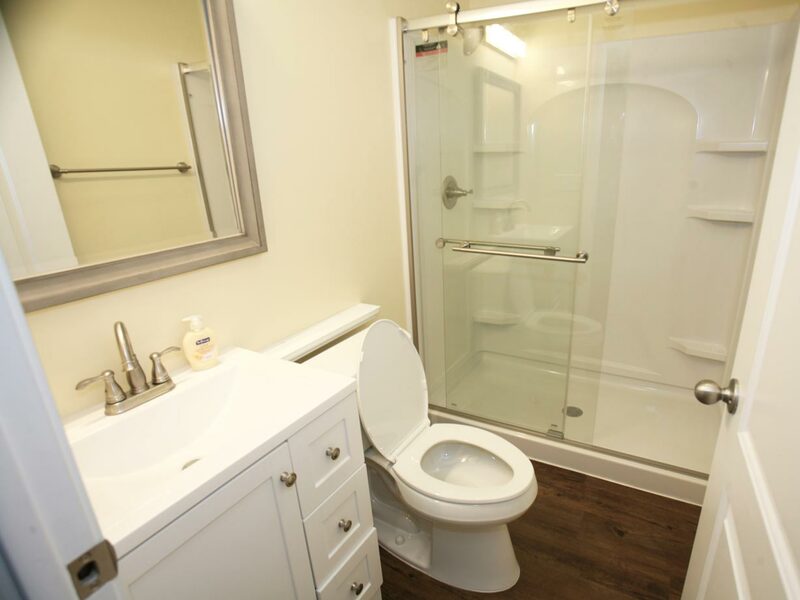 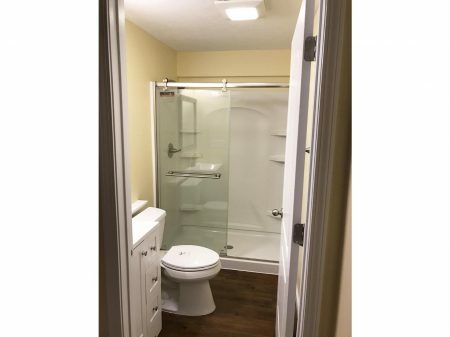 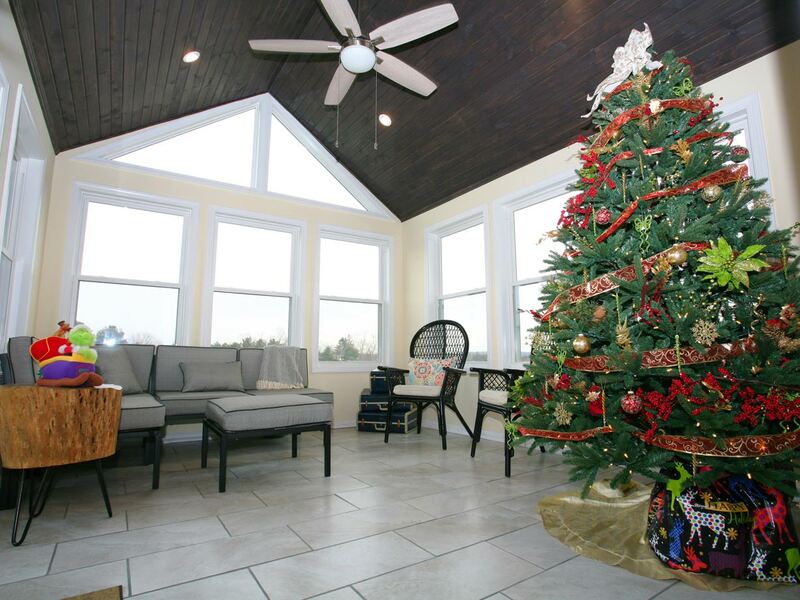 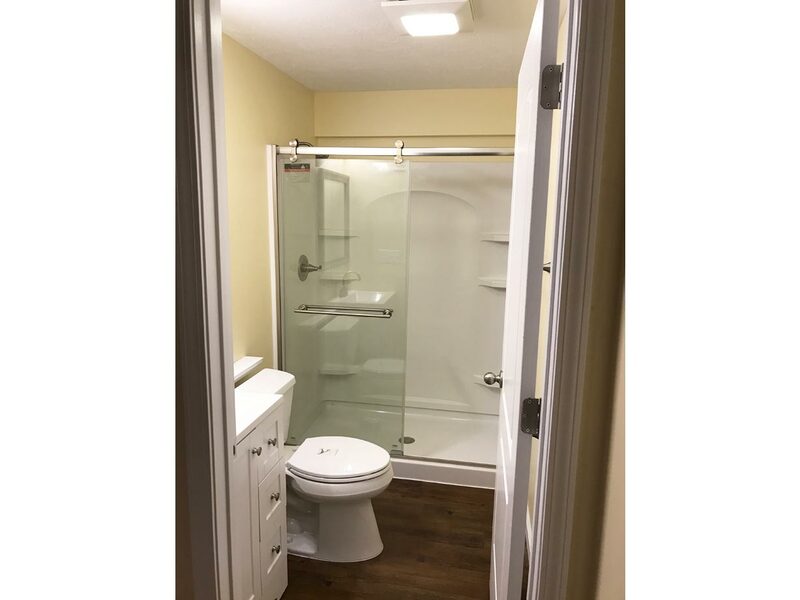 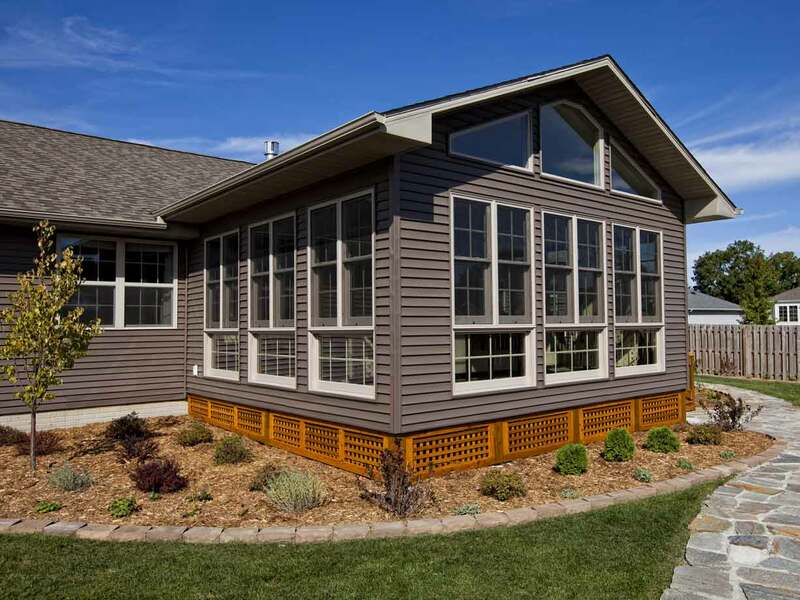 room and features a custom sliding glass shower door. 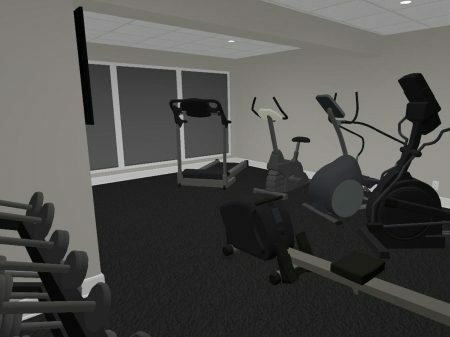 Additional enhancements include: wall mounted flat screen TV’s in the rec. 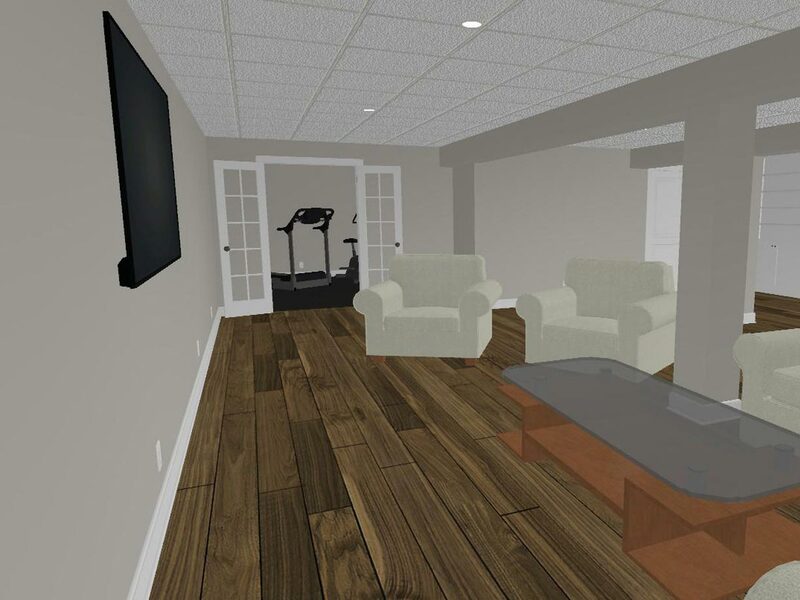 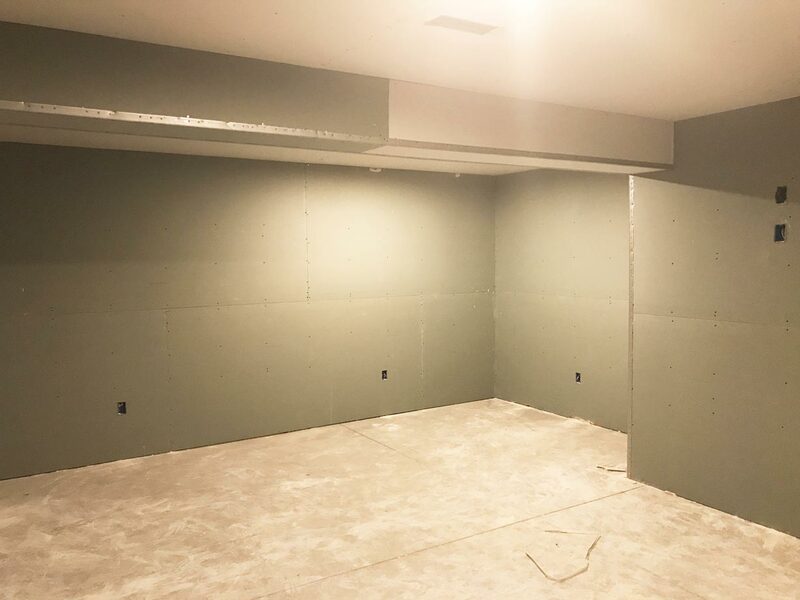 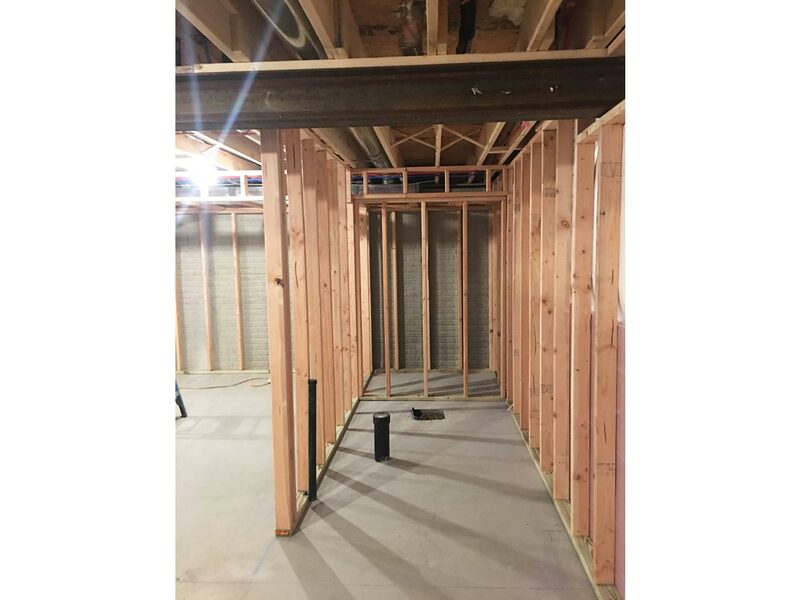 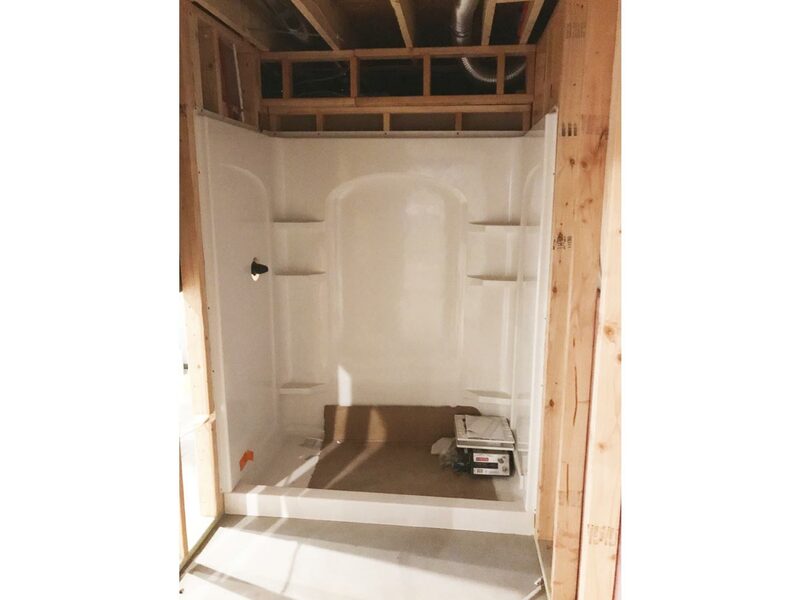 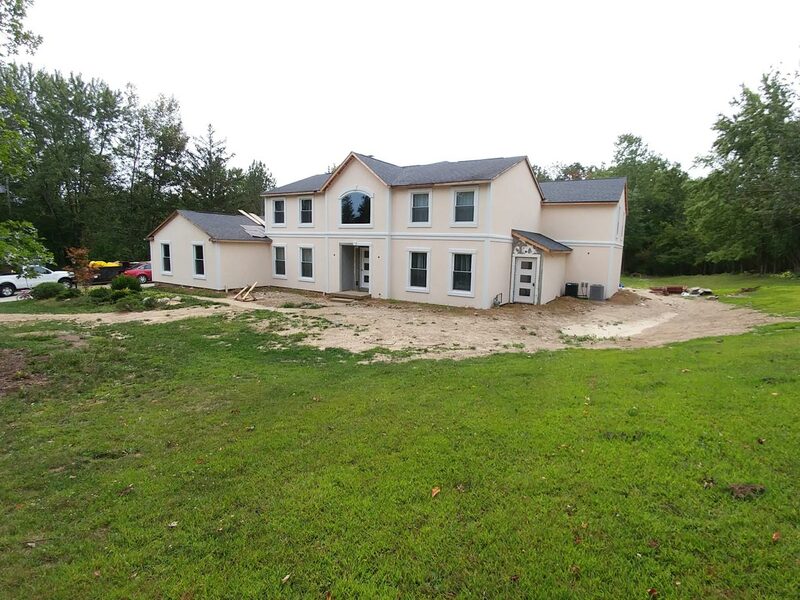 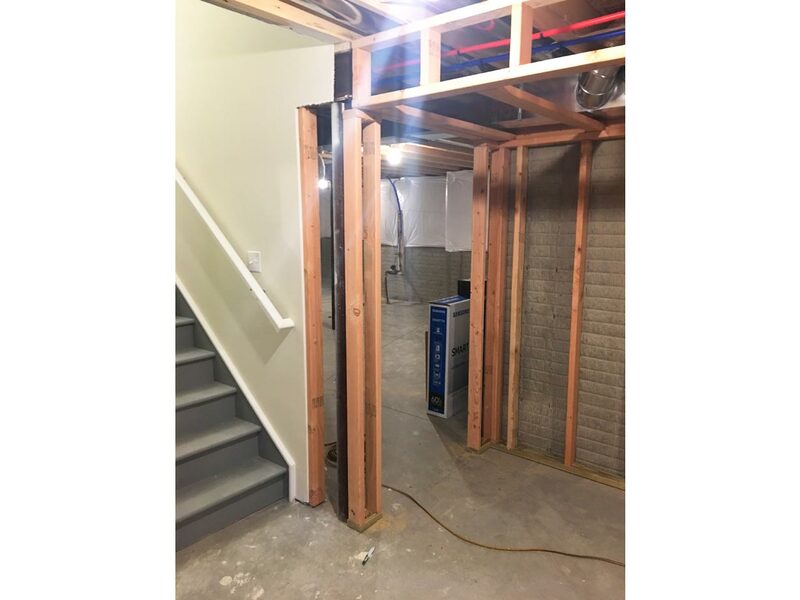 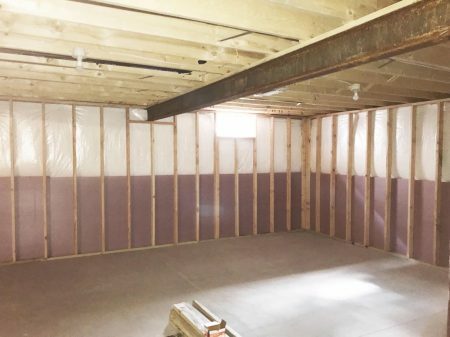 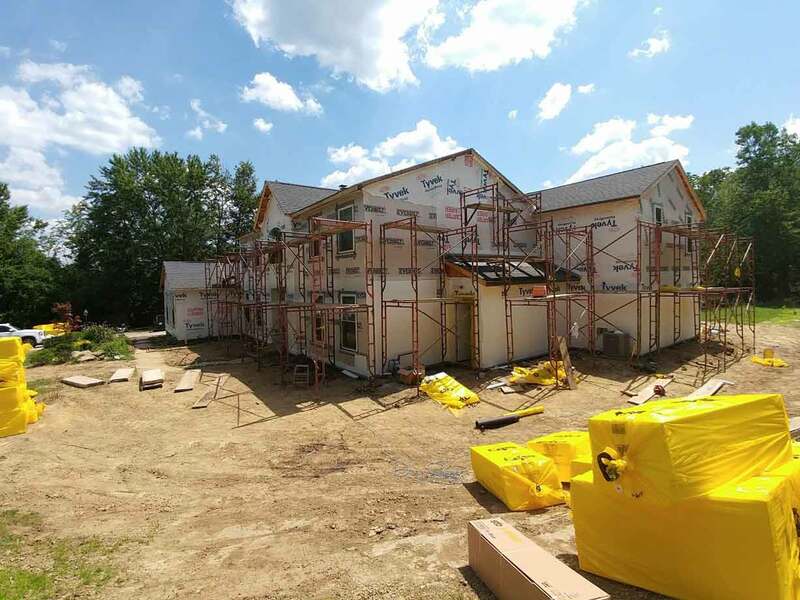 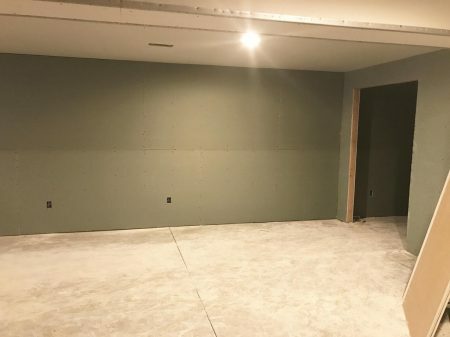 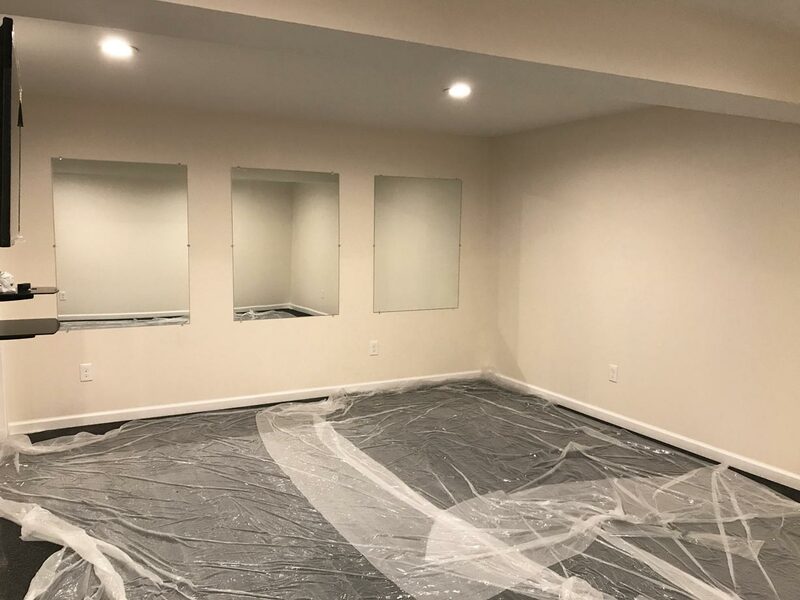 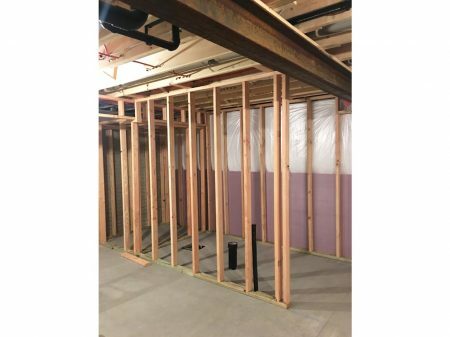 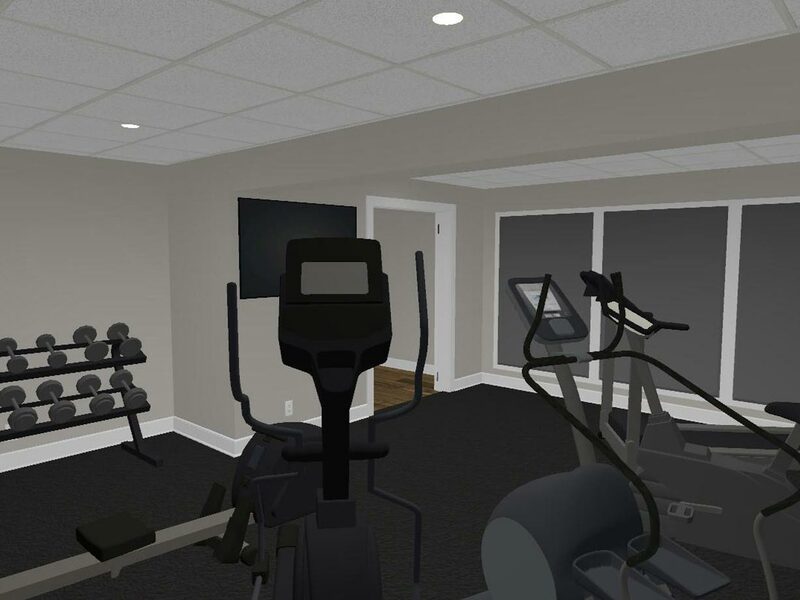 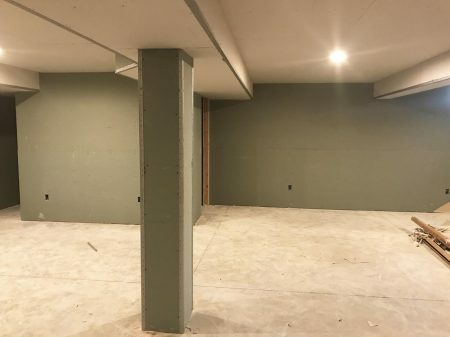 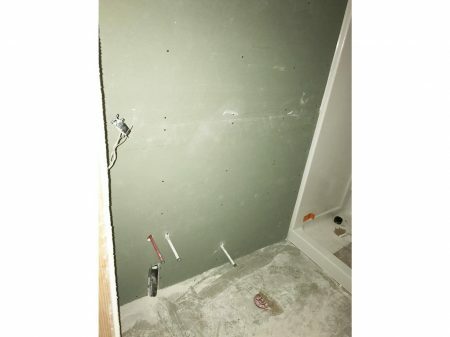 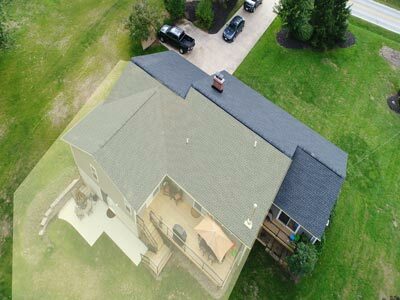 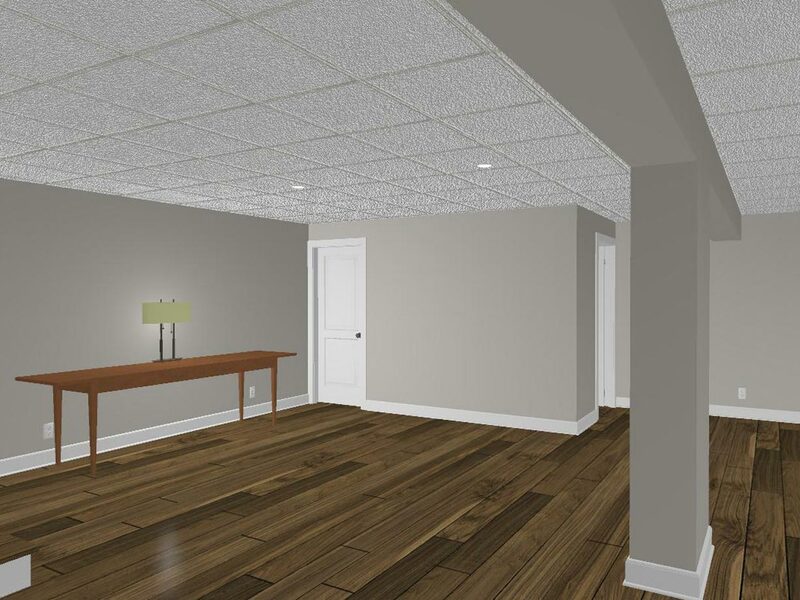 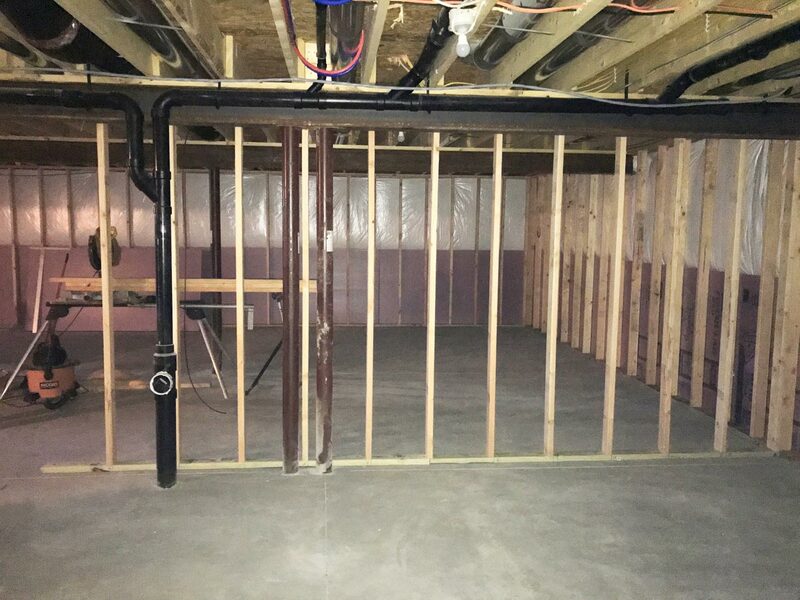 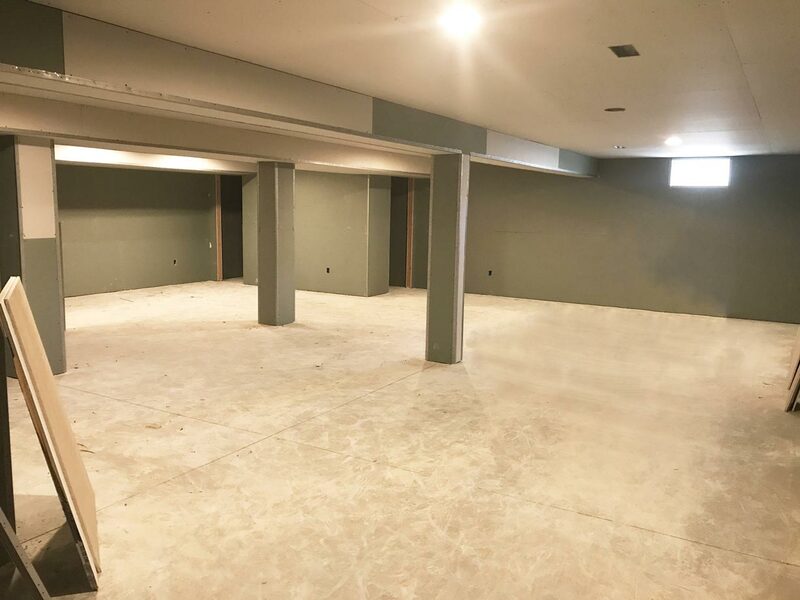 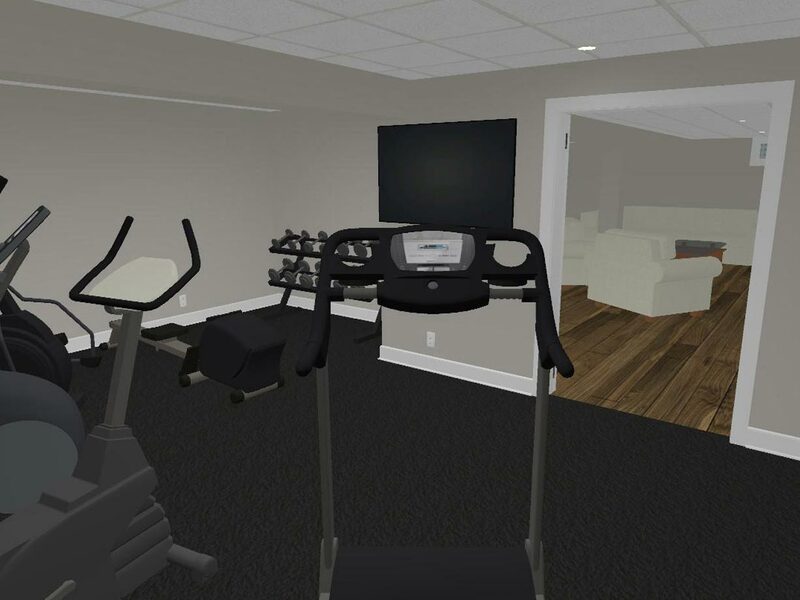 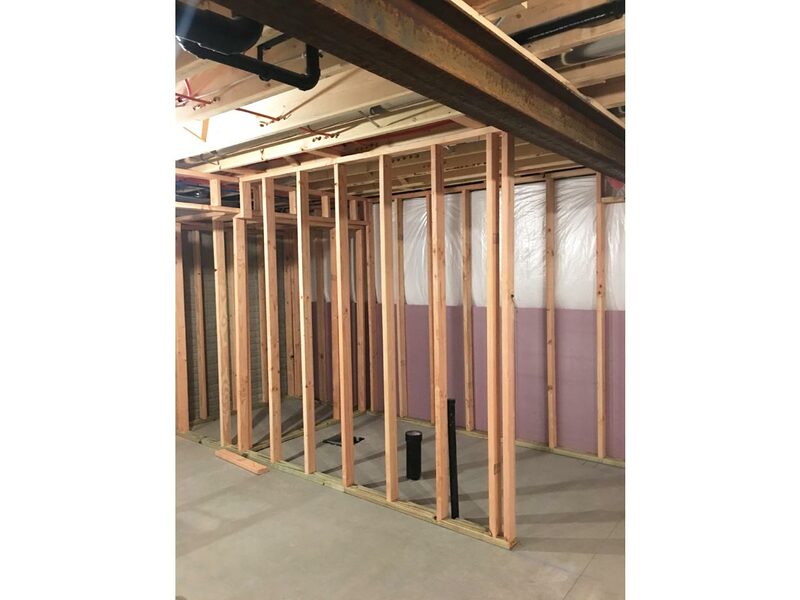 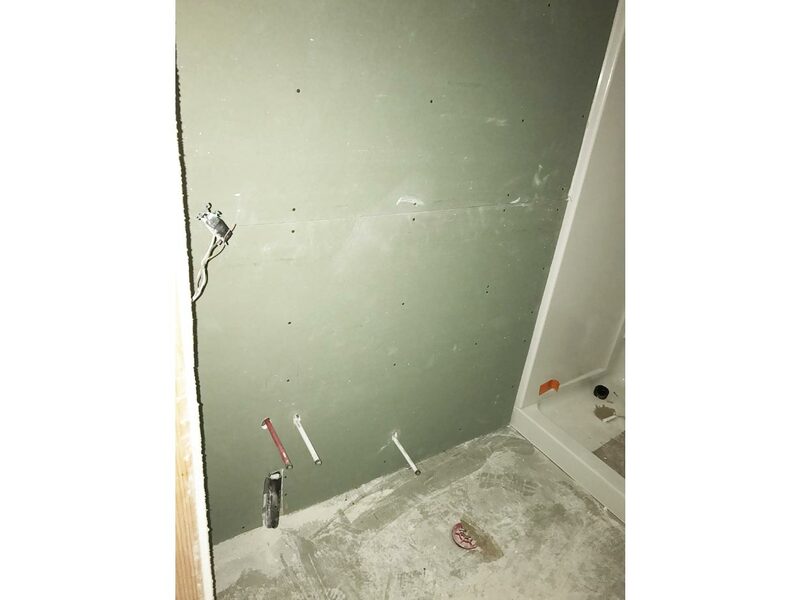 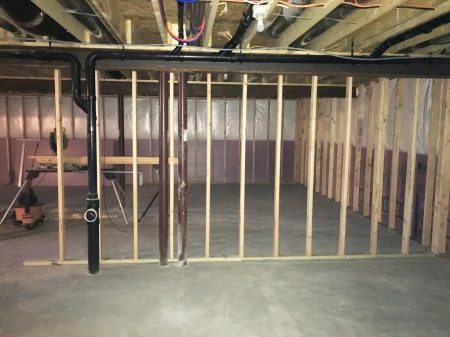 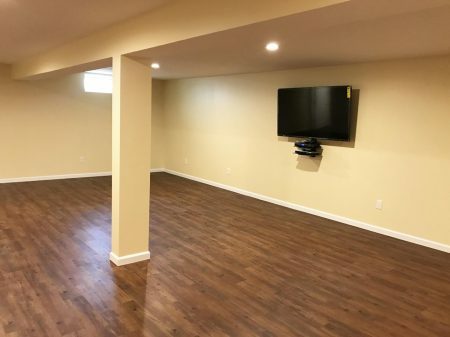 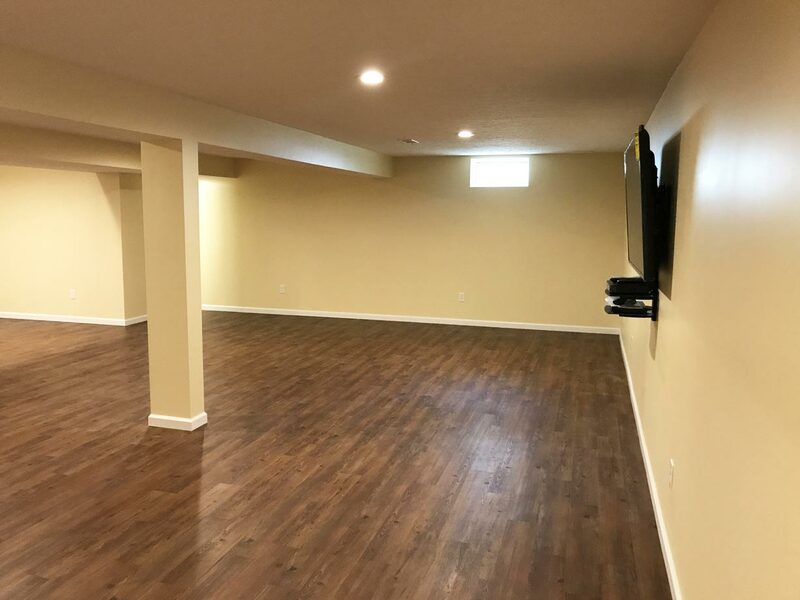 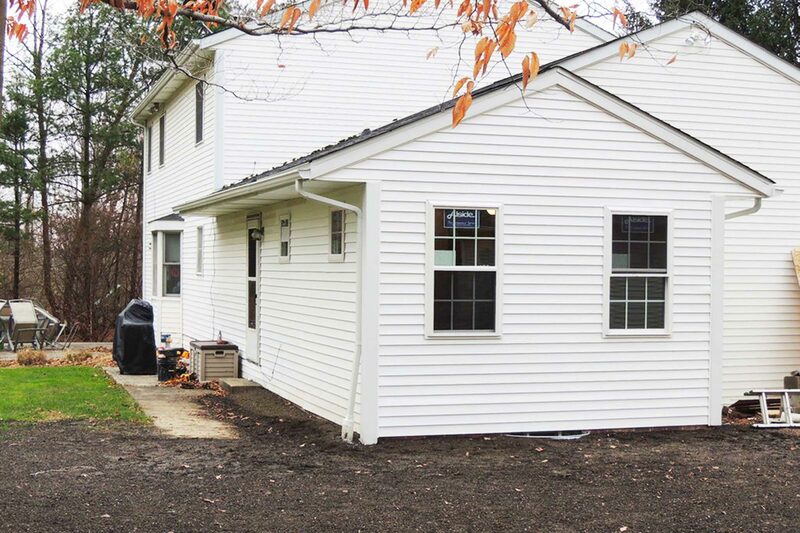 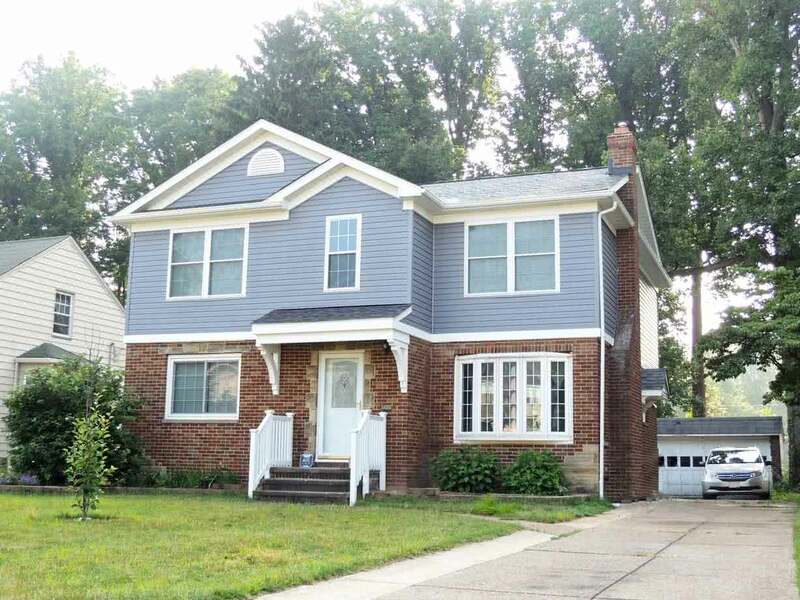 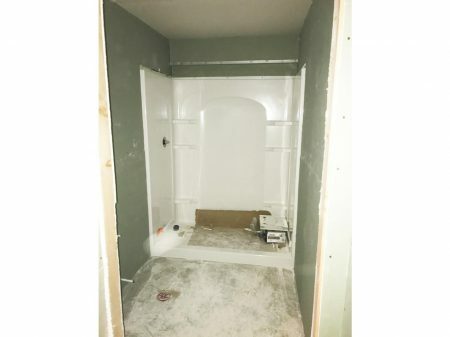 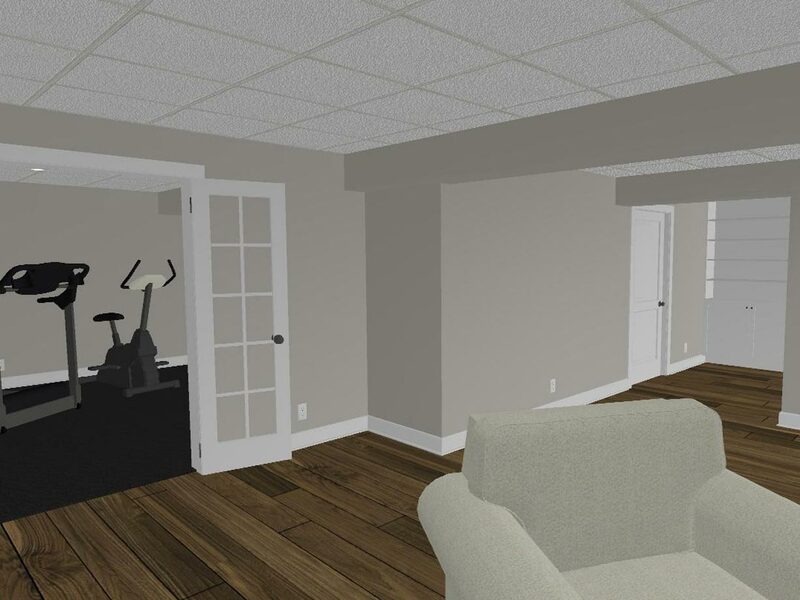 room and in the home gym, all new insulation, drywall, plumbing, and electrical throughout as well as custom built-in shelving in the newly created basement storage area.